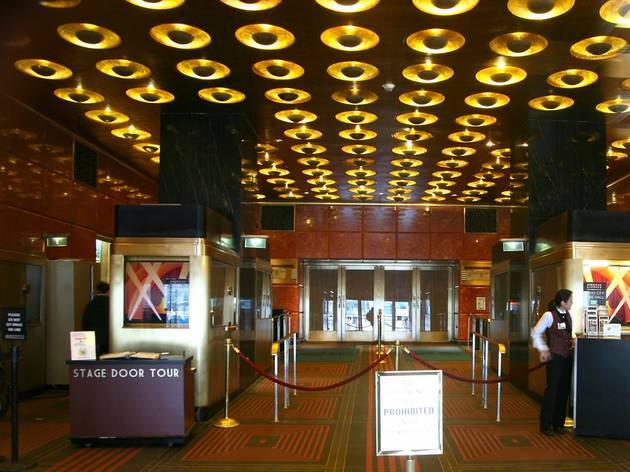 As the Art Deco landmark celebrates its 80th birthday, we take a peek inside and behind-the-scenes of the storied venue. 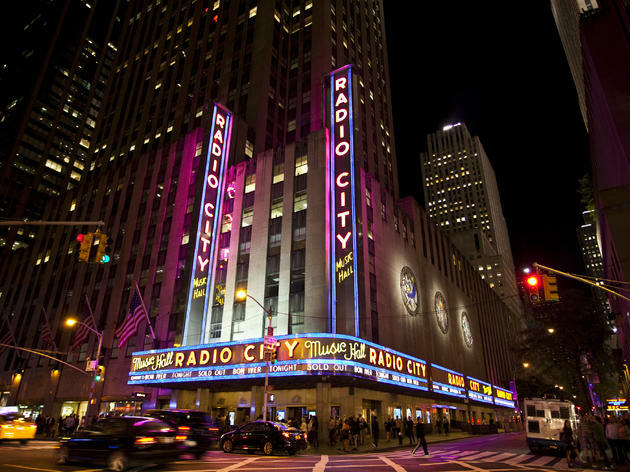 Photograph: Virginia RollisonTheater entrepreneur Samuel &ldquo;Roxy&rdquo; Rothafel conceived Radio City Music Hall as a lavish entertainment center that the average person would still be able to afford. 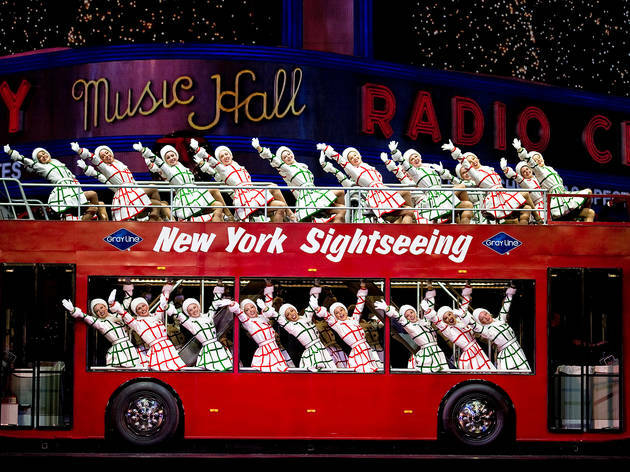 Choreographer Martha Graham, actor Ray Bolger and singer-comedian Gertrude Niesen performed on opening night. Vincent DeJardinsMore than 300 million people have visited Radio City Music Hall over the past 80 years. 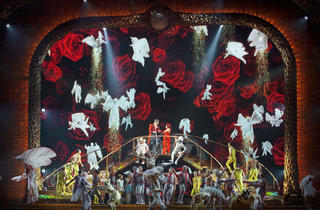 Photograph: Virginia RollisonIndustrial designer Donald Deskey modeled the stage and proscenium after a setting sun. 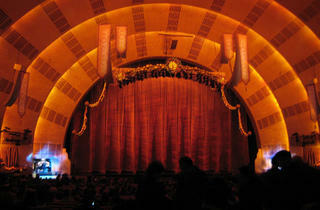 The stage is 60 feet high and 100 feet wide, and its iconic gold curtain is the world&rsquo;s largest draperies. 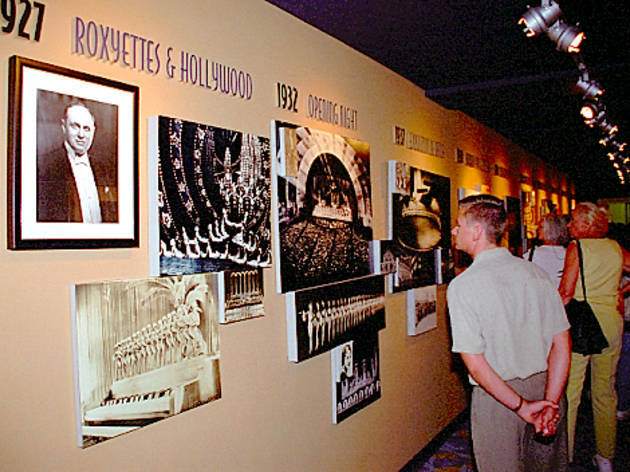 David Paul Ohmer via FlickrThe Radio City Stage Door Tour takes visitors through the venue&rsquo;s collection of memorabilia, including vintage photographs of celebrities who have performed there. 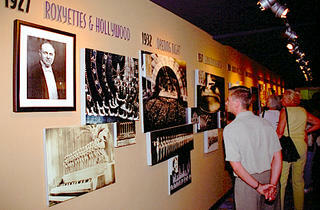 Those A-listers include the likes of Frank Sinatra, Ella Fitzgerald and Ray Charles. 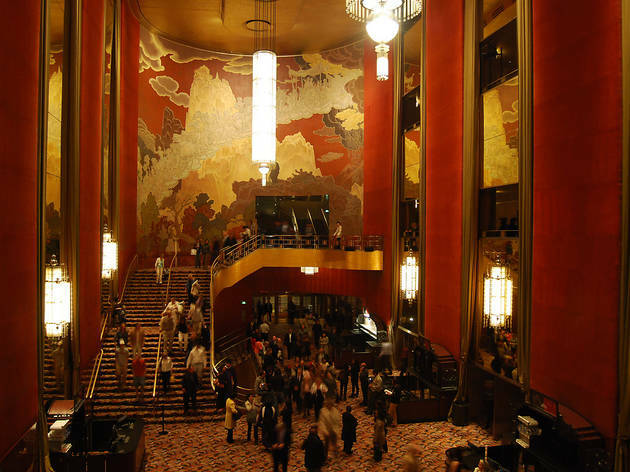 Photograph: Courtesy of Radio City Music HallWhen he was designing the building, Rothafel decided that he wanted his own lavish digs inside the Radio City, and had an exclusive suite constructed on the fifth floor. 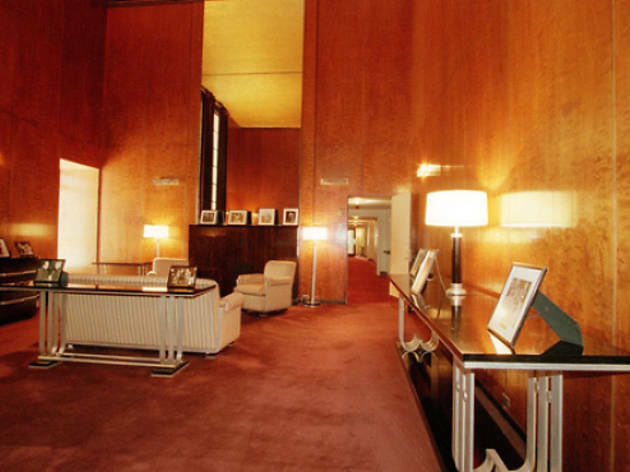 Glamorous touches in the space include 20-foot-high domed ceilings, cherrywood walls and an intimate dining area. 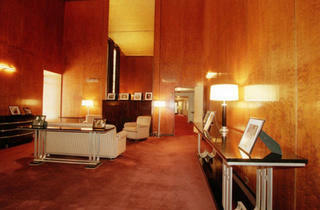 Rothafel never actually moved in, but today the room (dubbed Roxy&rsquo;s Suite) is reserved for performers and other VIPs. 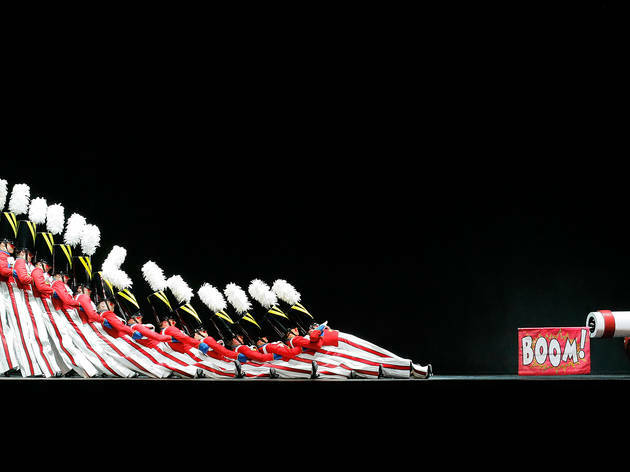 Photograph: MSG EntertainmentSince the dance company's inception in 1925, more than 3,000 women have performed as part of the troupe. 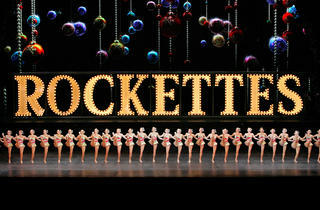 They first performed as the Rockettes at Radio City Music Hall in 1927. 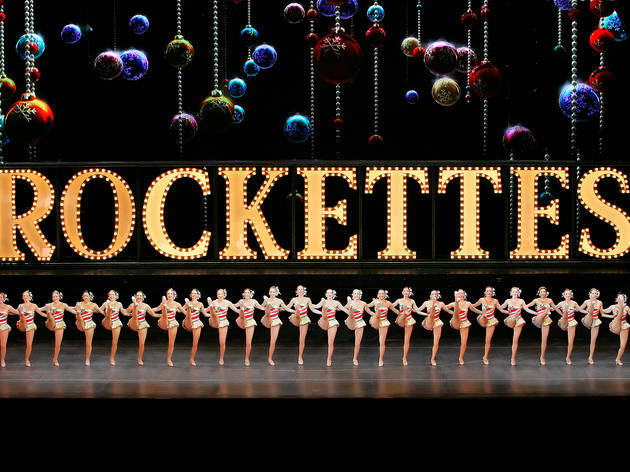 Photograph: MSG EntertainmentIn addition to measuring between 5'6" and 5'10" in height, any womann auditioning for the Rockettes must be proficient in tap, jazz, ballet, and of course, must be able to perform the troupe&rsquo;s iconic eye-high kicks.&nbsp;The stature requirement is in place to help create the illusion that every member is the same height; the tallest stands in the middle of the line, and the women on each side are progressively shorter. 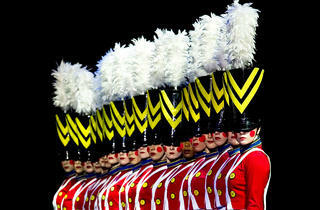 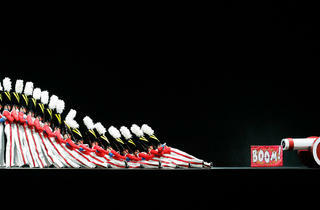 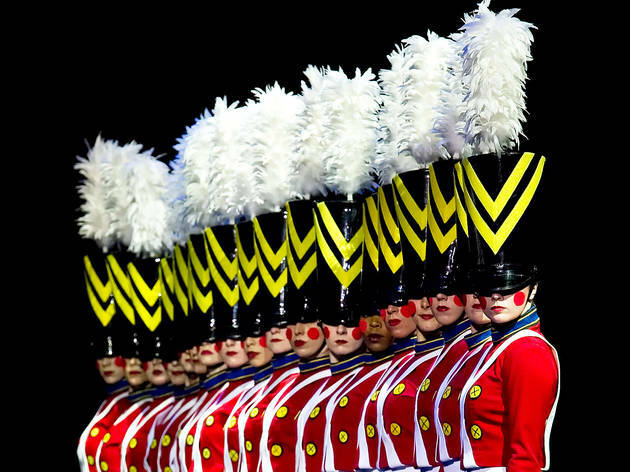 Photograph: MSG EntertainmentToy Soldiers, performed during the Radio City Christmas Spectacular, is among the Rockettes signature routines and includes this precision-timed, cascading "fall." 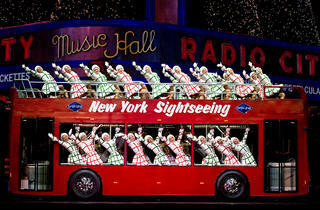 Photograph: MSG EntertainmentAnother New York City icon&mdash;the double-decker Gray Line bus&mdash;first appeared in the Radio City Christmas Spectacular in 2007. 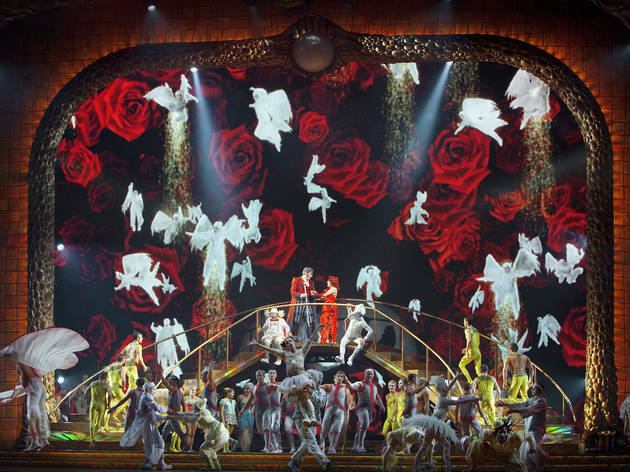 Photograph: Richard TermineAmong the talented acts to have graced the Radio City Music Hall stage is Cirque du Soleil, which took up a residency at the venue in 2011 and 2012 for its show Zarkana. 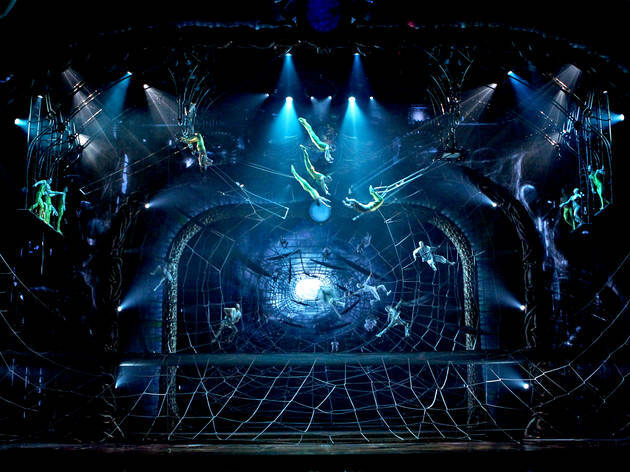 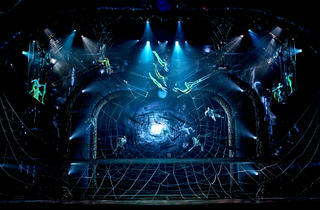 Photograph: Richard TermineThe acrobats of Cirque du Soleil perform awe-inspiring catch-and-release moves as part of Zarkana at Radio City Music Hall. 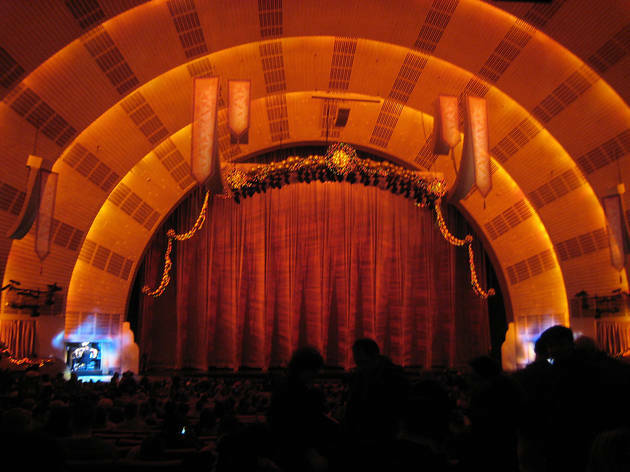 Photograph: Jon KlemmThe original American Idol, Kelly Clarkson, recently took the stage at Radio City Music Hall for her Stronger tour. 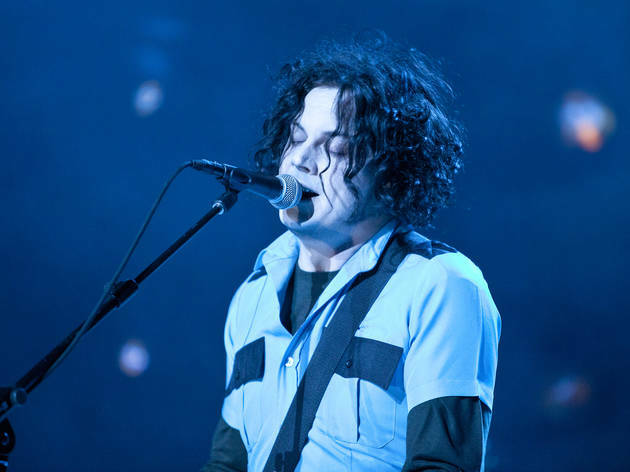 Photograph: Virginia RollisonFormer White Stripes frontman, Jack White, performed at Radio City Music Hall in support of his debut solo album, Blunderbuss. 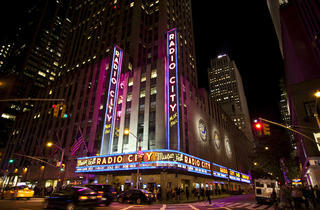 Radio City Music Hall has been an iconic New York City attraction since it first opened on December 27, 1932. 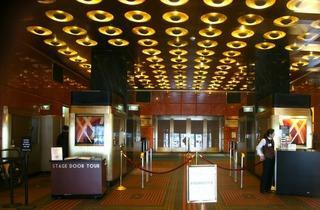 We’re celebrating the Art Deco landmark’s upcoming 80th birthday with this look at the venue’s past and present.